When disaster strikes, anxiety is high and community members immediately look to government and emergency management leaders for timely, reliable, mobile-friendly, accessible information. The ensuing chaos exacerbates when communications — the information and delivery mechanisms — aren’t efficiently deployed. As disasters become more routine, digital response and recovery preparedness is critical. Governments can no longer build these operations reactively while simultaneously responding to an active natural disaster and expect to effectively serve their communities at the height of a crisis. Many jurisdictions, while heavily-focused on the operational aspects of response and recovery efforts, have not sufficiently prepared to deploy digital — mobile-friendly, encrypted, accessible, dedicated websites — that the community can reliably turn to for information. Jurisdictions must be digitally prepared on all fronts and address these issues proactively so that they can best serve their communities when an emergency or disaster occurs. ProudCity has supported digital response and recovery efforts for two major California wildfire disasters (Santa Rosa/Sonoma County, Paradise/Butte County). While we’re not emergency operations experts, through these experiences, combined with our expertise in digital government platform design and development, we’ve learned a great deal about how to optimize for digital preparedness. 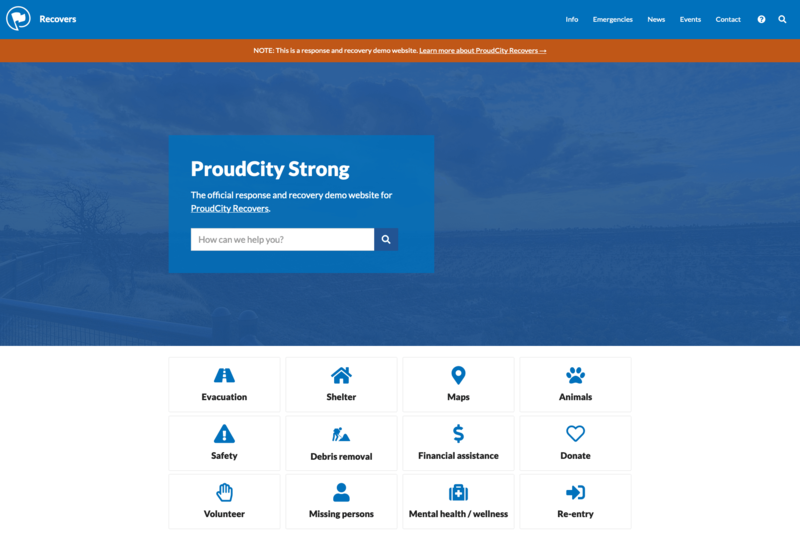 Based on our experience supporting digital response and recovery efforts, we’ve created ProudCity Recovers, a cloud-based, ready-made, customizable website theme — default page templates, site architecture and content categorization — that can be used to communicate response and recovery information and resources during disaster events. As part of ProudCity Recovers, we’ve also developed a preparedness-specific news/answers category taxonomy (based on Ready.gov classes) for all emergency types as well as response/recovery topics (i.e. shelter, transportation, assistance). Building on Marin County’s digital disaster response and recovery preparedness policy, we’ve also created a governance template that helps jurisdictions outline processes for effectively managing these digital efforts. 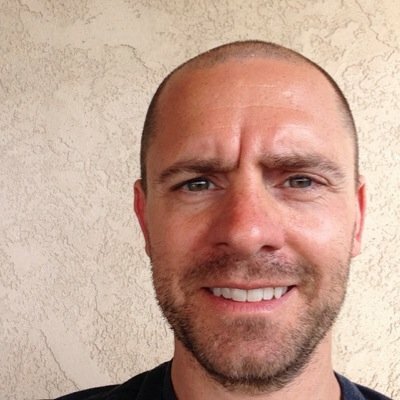 This governance template can be repurposed by anyone for free and with no need for attribution. Marin County (Calif.) officials realized the need for digital preparedness, and have proactively prepared Marin County Recovers (now ‘dormant,’ but ready for activation in the event of a disaster). We’re proud to serve Marin, Sonoma and Butte counties, helping to ensure those communities are prepared in the event of a future emergency or disaster. If you’re responsible for response and recovery efforts in your jurisdiction, we’re ready to support you in your digital preparedness efforts. Visit the ProudCity Recovers demo website at recovers.proudcity.com and learn more about ProudCity Recovers at proudcity.com/recovers.